Back Cover: "The truth: Nicholas Flamel was born in Paris on September 28, 1330. Nearly seven hundred years later, he is acknowledged as the greatest Alchemyst of his day. It is said that he discovered the secret of eternal life. The records show that he died in 1418. But his tomb is empty. The legend: Nicholas Flamel lives. But only because he has been making the elixir of life for centuries. The secret of eternal life is hidden within the book he protects--The book of Abraham the Mage. It's the most powerful book that has ever existed. In the wrong hands, it will destroy the world. That's exactly what Dr. John Dee plans to do when he steals it. Humankind won't know what's happening until it's too late. And if the prophecy is right, Sophie and Josh Newman are the only one with the power to save the world as we know it. Sometimes legends are true. And Sophie and Josh Newman are about to find themselves in the middle of the greatest legend of all time." 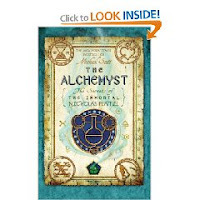 The Alchemyst by Michael Scott is an enjoyable, entertaining read. When 15 year old twins Sophie and Josh decide to stay with their aunt in San Francisco, instead of joining their parents in Utah on a dig, little do they know what adventure is in store for them. They take jobs right across the street from each other: Sophie in a coffee shop and Josh in a bookstore owned by Nick and Peggy Fleming. The action starts at the very beginning when Sophie notices strangely dressed men appear and enter the bookshop. Suddenly she is smelling the over powering smell of peppermint and rotten eggs. John Dee has come for The Book which is a text of ancient wisdom. However, his plans are thwarted when even though he manages to get the book, Josh somehow in the fight grabs hold of the last two pages of the book and unbeknownest to Dee, tears them out of the book. When Dee discovers the pages are missing, the search is on and Nicholas, Josh, Sophie are on the run, trying to stay ahead of Dee. Nicholas recognizes that the twin are all part of the prophecy and he must do everything he can, not only to recover the book, but find a way to awaken the twins powers. Plus, the book contains an immortality potion that Nicholas and his wife must make and drink each month or they will age and die. John Dee enlists the aid of the crow goddess, Morrigan, the cat goddess Bastet and battles Nicholas, Josh and Sophie who have the aid of a centuries old Scathath and Hekate, the three faced goddess. It is a battle royale between good and evil. I love well written, young adult novels, especially if they are entertaining, engaging and imaginative, without all the bloods, guts, gore, and swearing. Makes for a good clean story. "The Alchemyst" is a young adult novel and very well written. The characters are well drawn, the story exciting and engaging with many elements from mythology brought to life. I'm looking forward to reading the other two books in the series: Book 2 - "The Magician" (released April 2009) and Book 3 - "The Sorceress," which will be released on June 25th. "Before reading this book, I thought it would be both corny and strange. I was wrong about both. Michael Scott told his story very well, and got a sense of urgency across to the reader. Besides the magic part of the novel, it felt very real, as if any second this could actually happen, and I found myself sitting on the edge of my seat, cheering the twins on, more often than not." "The Alchemyst although not quite as sophisticated as the Harry Potter series has a definite draw with its infusion of ancient folklore turned into a real life adventure." "The story is full of action, magic and dangerous situations. 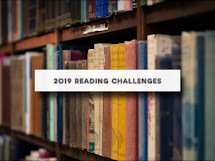 Just think that it happens in only 48 hours and it's the first chapter of a series of books, So even if we're provided with an ending, we don't have all the answers and we should be prepared to see at least other two books."